Keeping it Simple, Easy & Delicious with Every-Bellies! Keeping it SIMPLE with Catered Lunches, Parties & Events with Every-Bellies! We set it up and leave. The Tater and Salad is built by the individual. 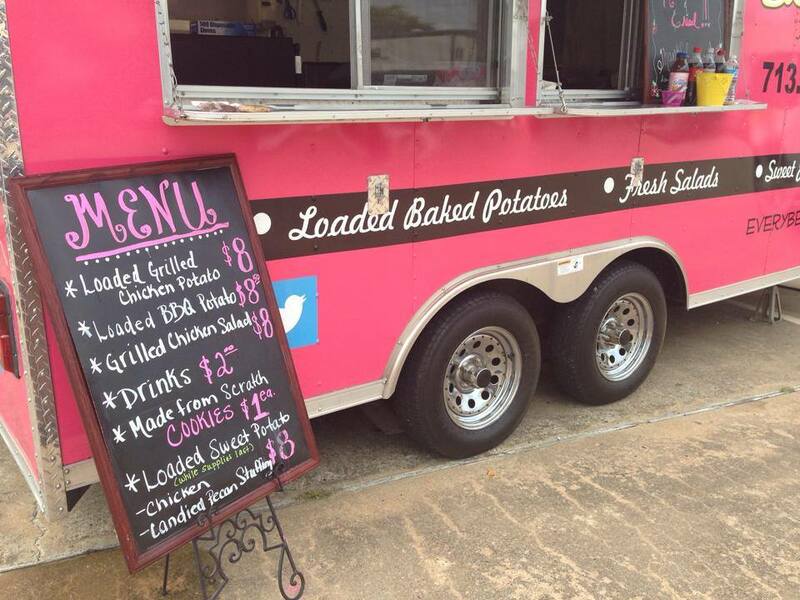 Piping Hot Potatoes with Grilled Chicken or BBQ Brisket and All potato Fixings! Loaded Salad Bar with made from scratch dressings and all salad toppings! Minimum Delivery Order is 15 or $150. All orders are FREE in Tomball/Magnolia Area. Delivery Fee outside of Tomball/Magnolia will be determined for by size of order and location. When requested, we are available to stay and serve. The price is $13.00 per person. 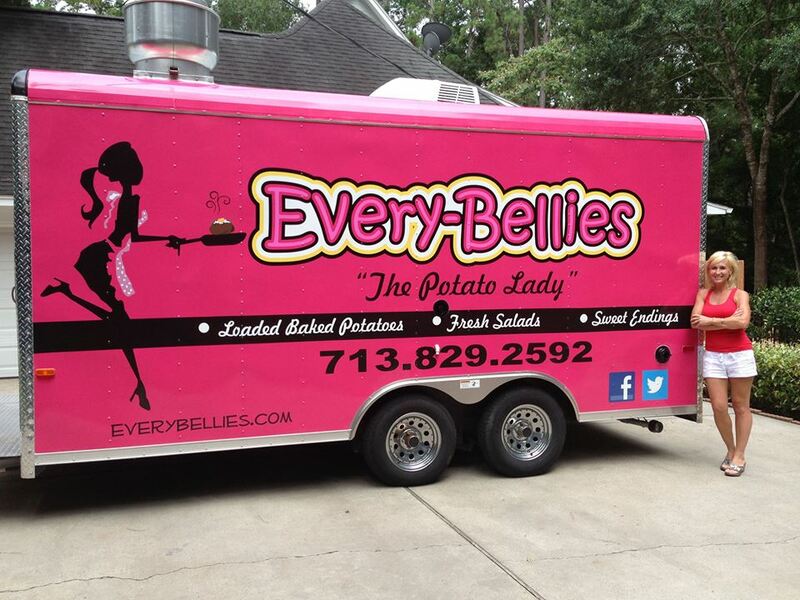 Our Mobile Kitchen is available upon request for Large Events, Corp Lunches & Weddings. $150-$250 Depending on Location of event. By request, if we are available and if we have permission from property owner, we can pull our truck right up and sell to the business.